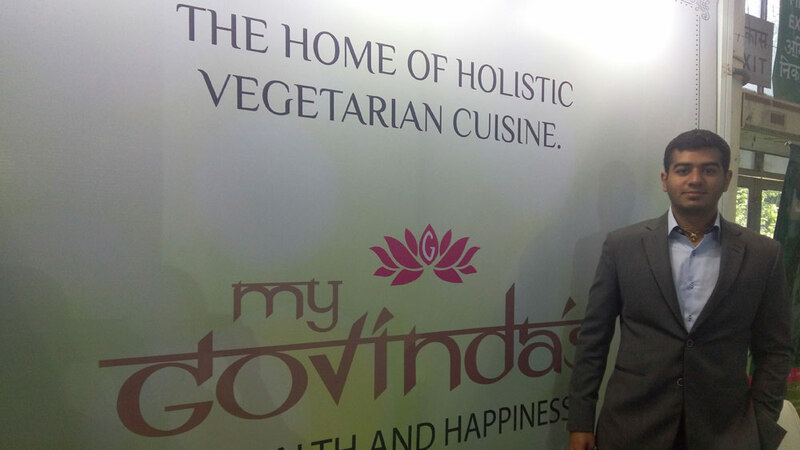 In an exclusive interview with Restaurant India, Sanjit Advani, Director, My Govinda's shares about his plans for entering India. When was the brand started? My Govinda’s was started in 2001 by my father and it’s serving Sattvik food with no onion and garlic. We also have a menu which is 100 per cent oil free. And, we often serve a mix of different cuisines. It’s open in Dubai for last 15 years and now we would like to do franchise in India. What was the idea behind opening My Govinda’s? My father opened My Govinda’s because he couldn’t find good vegetarian restaurant in Dubai. And, as Indian population is quite significant there traffic was not an issue. What made you think India as next destination? We wanted to take Sattvik food to the world and not just India. We believe that India is a great market to launch into because of the population and there is big vegetarian crowd as well. People here are trying new cuisines and food all the time and there is no denying with the fact that Indians are foodies. How many outlets are there under the brand? Right now we are operating two outlets in Dubai. In next three years we are planning to open 20-30 outlets in India. What are the franchisee criteria for your restaurant? The franchisee fee is 15 lakh including training, license to own our brand name, all kind of support including kitchen equipment and other needs. The ROI is 66 per cent and you will get your money back in two years and three months. What kind of model you are planning for Indian market? We are planning to open a fine dine restaurant with an ala carte menu. We also serve thali in afternoon. We are trying to open at locations where there are more temples and pilgrimage sites because people when they go there they are vegetarian during those days. Vaishno devi, Haridwar, Puri including others. I have never seen a restaurant serving 100 per cent food. Also, we are serving Indian food with no oil, no ghee or no any sort of butter. Currently, in Dubai we mainly focus on PR and social media. And, obviously the word of mouth which only works when you provide excellent food and service to your customers. You need to do your own job; marketing doesn’t work all the time. What are the different types of cuisines on your menu? We have a restaurant which serves Italian and Indian and the other restaurant has Chinese as well. We wanted to launch in India first, our vision is to take it across the world. We have got some leads from San Francisco, South East Asia and with the current trend of vegan and vegetarianism being healthy this is a good time to launch the brand. Creating a unique and fun vibe with Antares..